Balham Mosque and Tooting Islamic Centre offers a fully comprehensive service for funerals. We will endeavour to have the body buried as soon as possible. Please click here for our burial guide. Please contact the following for enquiries. Br Abdul is the first point of contact for arranging funeral services. He is available 7 days a week. If you cannot reach Br Abdul please contact Br Nisar. 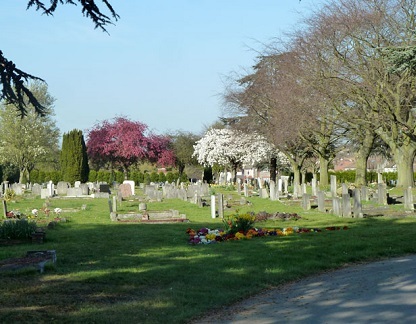 Br Nisar is a committee member and has the overall responsibility for funeral arrangement. Below you will find notes and information regarding what to consider when an individual has passed away. click here if you wish to download a pdf copy. Death is a very painful and emotional time which for many serves as a testing time. However with The correct attitude it can act as a means of hope and mercy. Muslims believe that death is the end of the life of this world, yet the beginning of the next. In essence the true life is yet to come as it is eternal. It is at this very moment that Muslims pray for Gods mercy to be with the departed, in hope that they may find peace and happiness in the life to come. Upon death, those with the deceased are encouraged to remain calm, pray for the departed, and most importantly begin preparations for the burial of the body. The eyes of the deceased should be closed, and the body covered temporarily with a clean sheet. It is forbidden for those in mourning to excessively wail, scream, or thrash about. “Those who tear their clothes and beat their chests (in mourning) are not from us. “Grief is normal when one has lost a loved one, and it is natural and permitted to cry. When the Prophet Muhammad’s (pbuh) own son died, he said: “The eyes shed tears and the heart is grieved, but we will not say anything except which pleases our Lord. ” One should strive to be patient, and remember that Allah (SWT) is the one who gives life and takes it away, at a time appointed by Him. It is not for us to question His wisdom. Muslims strive to bury the deceased as soon as possible after death, avoiding the need for embalming or otherwise disturbing the body of the deceased. An autopsy may be performed, if necessary (in accordance to the law of the land), but should be done with the utmost respect for the dead. In preparation for the burial, the family or other members of the community will wash and shroud the body. The deceased will be washed respectfully, with clean and scented water, in a manner similar to how Muslims wash in the ritual bath. The body will then be wrapped in sheets of clean, white cloth (called a Kafan). Three sheets are used for men and five sheets for women. The deceased is then taken to the cemetery for the burial. While the members of the community attend the funeral prayers, only the men of the community accompany the body to the gravesite. It is preferred for a Muslim to be buried where he or she died, and not be transported to another location or country (Which may cause delays or embalming the body). If available, a cemetery (or section of one) set aside for Muslims is preferred. The deceased is laid in the grave (without a coffin if permitted by local law) on his /her right side, facing Mecca. At the gravesite, it is discouraged for people to erect tombstones, elaborate markers, or put flowers or other mementos. Rather, one should humbly remember Allah and His Mercy, and pray for the deceased. Loved ones and relatives are to observe a 3- day Mourning period. Mourning is observed in Islam by increased devotion, receiving visitors and condolences. Widows observe and extended mourning period (Iddah), 4 months and 10 days long, in accordance with the Quran 2:234. During this time, she is not to remarry, move from her home, or wear decorative clothing or jewellery, It is equally important to note that cultural customs should be avoided in the burial rites e.g. Feeding on the 40th day, as only those acts of worship carried out on the behalf of the deceased my benefit him/her that are in accordance with the Quran and Sunnah. When one dies, everything in this earthly Life is left behind, and there are no more opportunities to perform acts of righteousness not even single litanies. The Holy Prophet Muhammad (P.B.U.H) once said that there are three things however, which may continue to benefit a person after death: Charity given during life which continues to help others, Knowledge for which people continue to benefit, and a righteous child who prays for the deceased.